Hare are the obligatory pictures of me and people I've fished with, fishing and holding fish. 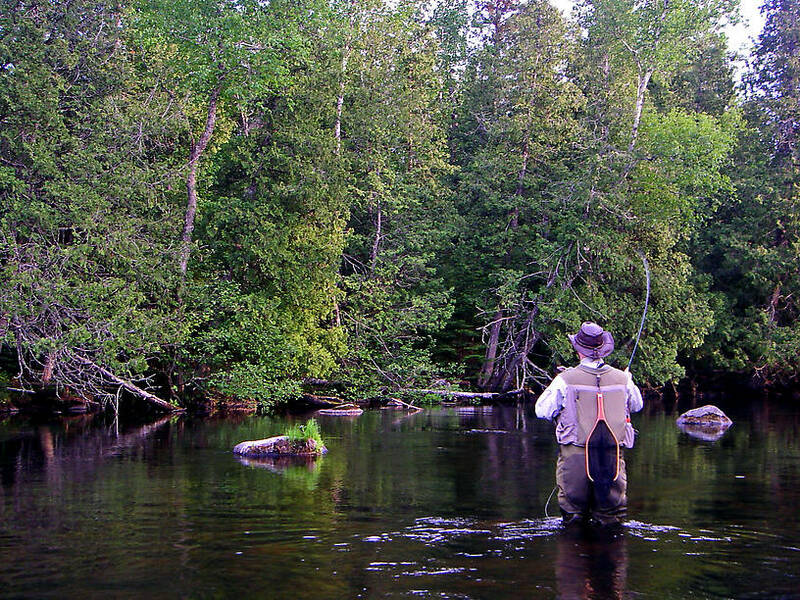 Fly casting makes for really nice pictures if the camera's set up just right. And nothing beats a candid "dropping a fish" moment. 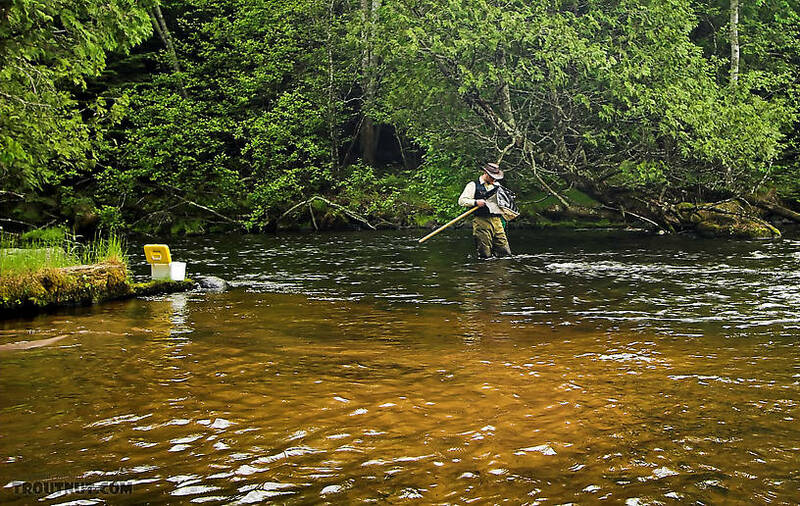 Here I'm looking through the sampling net for interesting nymphs, some of which ended up on this site. 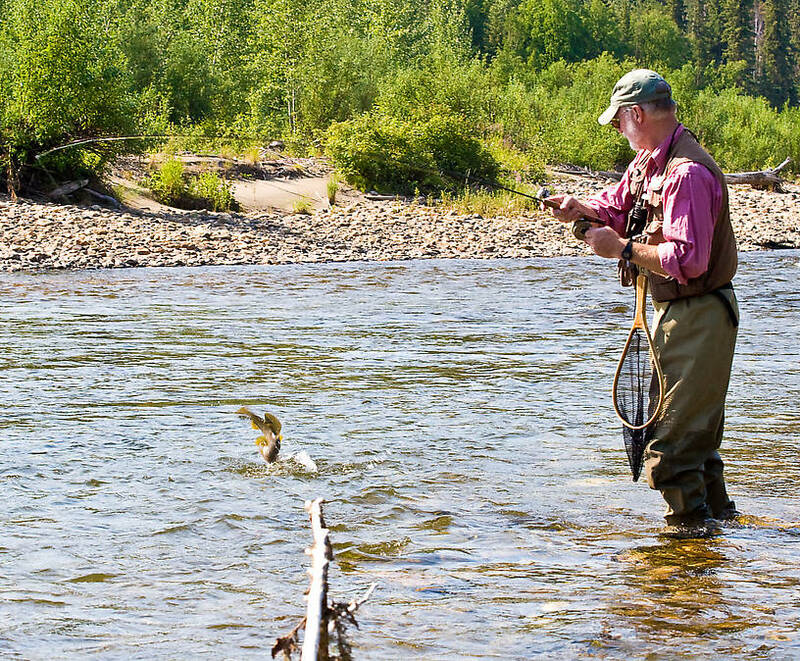 Here my dad's fighting a very nice arctic grayling, and this photo caught it mid-jump at the end of his line. This one eventually shook the hook, but we both caught many more in the same size range. 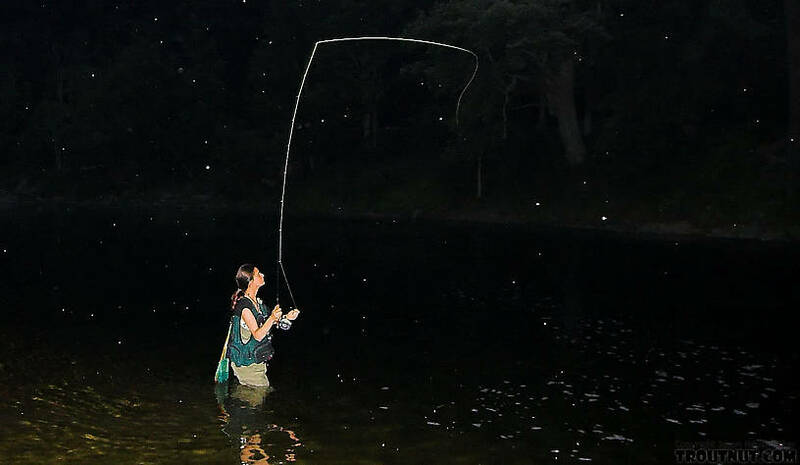 I strike at a hit in an inviting piece of dry fly water. 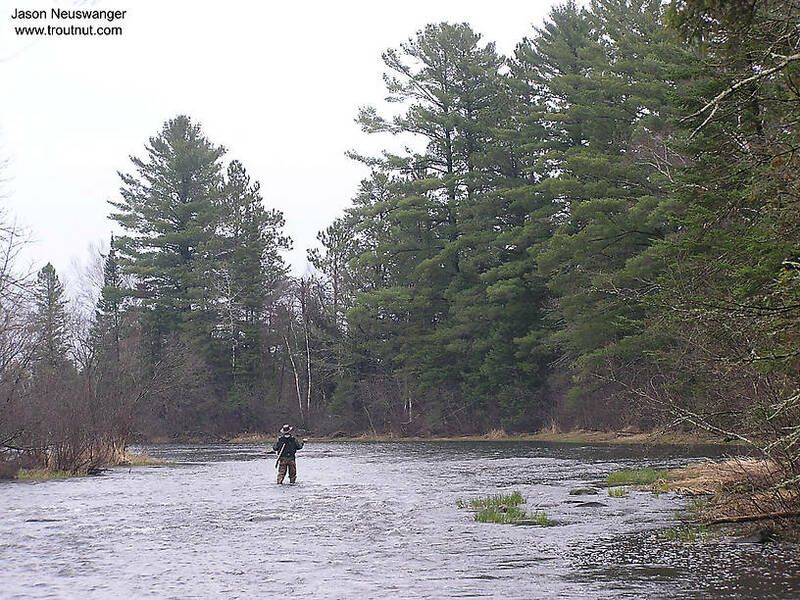 I'm in this picture casing into the riffle above one of my favorite pools. 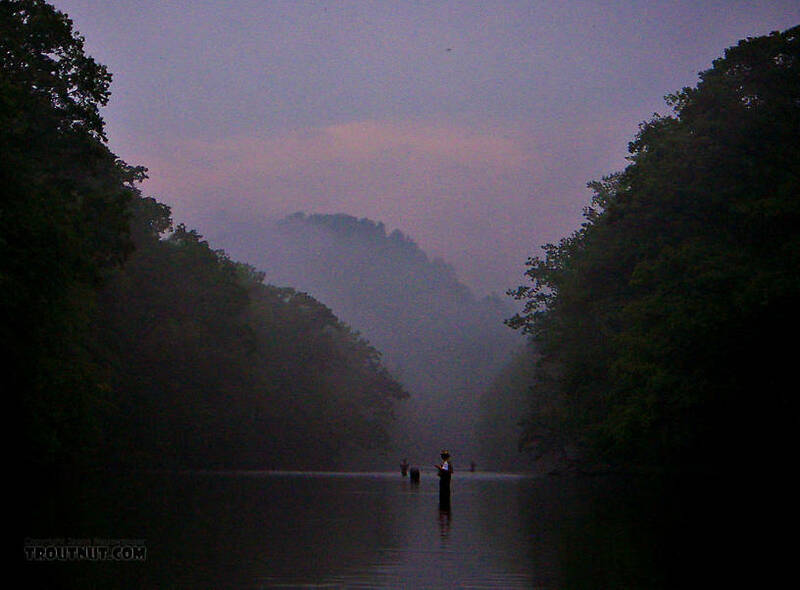 The fishing was fine, but the catching wasn't so hot. I got one strike on my carefully tied nymphs and two on my cheap foam strike indicator. 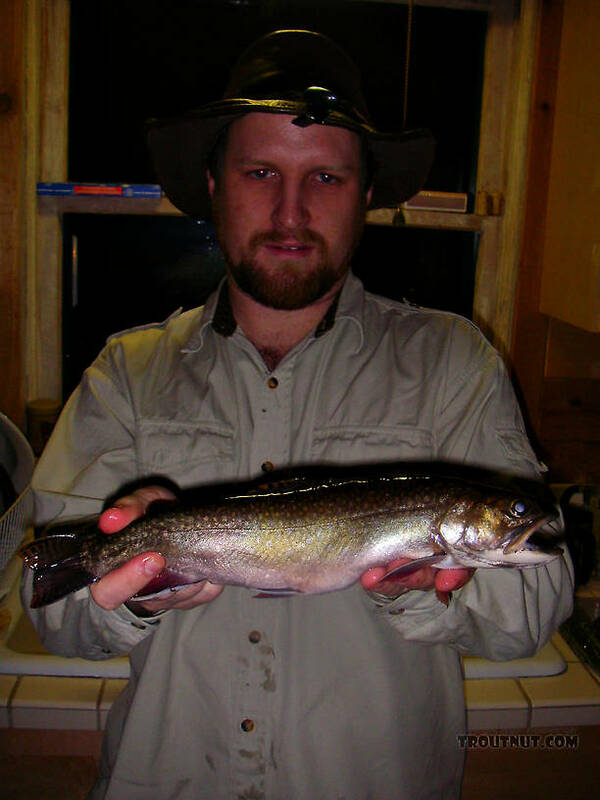 This is my largest brook trout ever (as of June '06). Disclaimer: Before any C&R evangelists go for my throat, I'll point out that this is the only trout I've kept all year, and it inhaled my dry fly directly into its gills and ripped one of them out during the fight. It was mine or the herons'. Here's a panorama of the junction of the North Fork of the Chena River and Middle Fork of the Chena River, where we my dad and I spent some time fishing for Arctic grayling on this float trip. 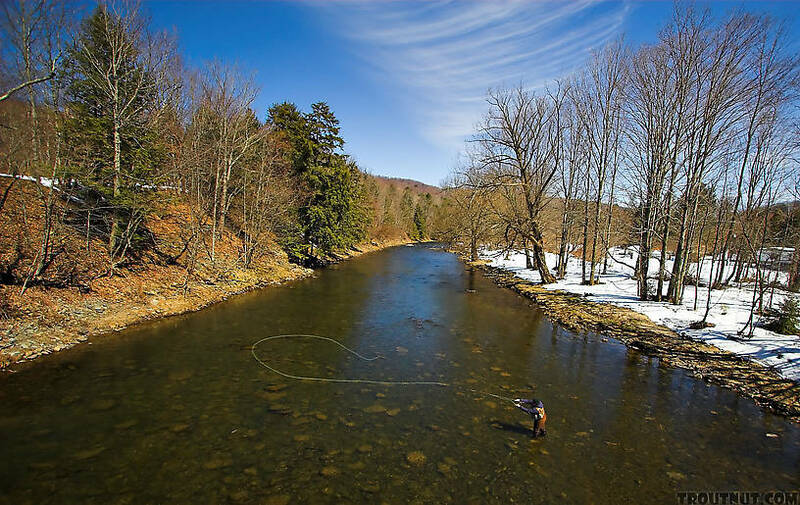 I was stuck sharing a long pool with several other fishermen on this popular spring creek, but I had the best fishing (the tail of the pool) all to myself, because it took the most walking to get there. The dusk hatch was extremely intense, complex, and difficult.